Aaron Ramsey may be bidding farewell to Arsenal as the ongoing issues of his contract deepen with the rumours of Chelsea supposedly gather £30 million preparing to bid for the player. Daily Mail reports claim that Arsenal new head coach Unai Emery maintains confidence that the player will remain in the team by signing a new contract while accusing Chelsea spies of ostensibly lying in wait for any possibility for transfer move to take the opportunity. The Welsh footballer known for his outstanding performances by blending superior technique with s powerful running style earned him a mark and developed into one of Arsenal most influential players in 2013-14 Premier League season. Meanwhile, there is only one year left of Ramsey’s contract with the Blues, but the bottom line is he can begin transfer negotiations over a transfer fee from January but this scenario is not the case the Gunners want to play out. 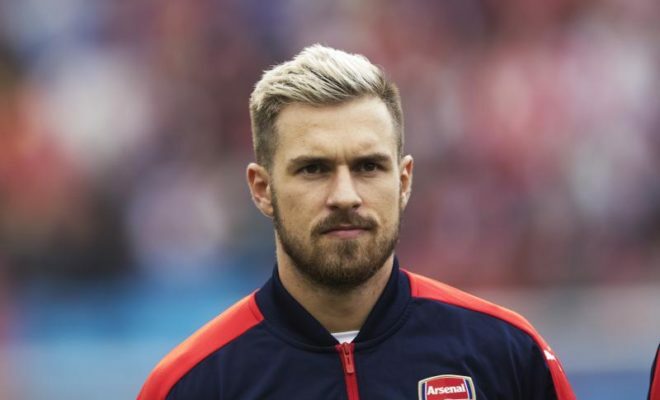 Should Ramsey and the Gunners fail to break the standstill, the Welshman midfielder would be out of contract next summer still he has yet to agree to an extension of contract, meaning Arsenal stands the chance of losing him while speculated offer from Chelsea will swing into full action. However, the 27-year old midfielder seem to be the piece which the Gunners might need for that touch off quality in the midfield.